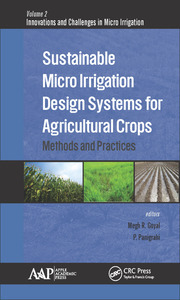 Principles of Micro Irrigation. Recent Evapotranspiration Research in Puerto Rico. Modeling of Evaporation from Bare Soil. Tree Injection Irrigation: Principles, Perspectives, and Problems. 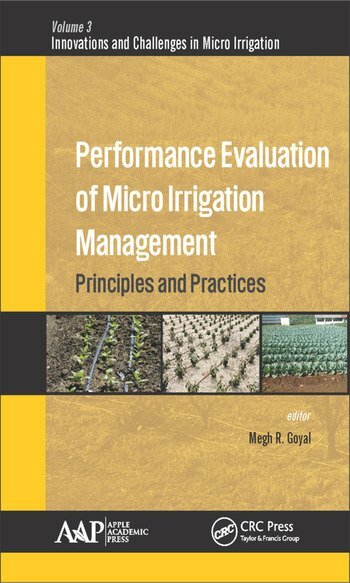 Evaluation of Micro Irrigation. Evaluation of Filters and Emitters under Domestic Treated Sewage Water. 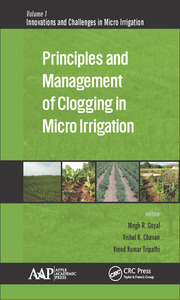 Evaluation of Drip Irrigation Systems for Water Management in Orchards. Fertigation and Ground Water Quality with Treated Wastewater Effluent. 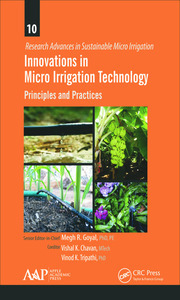 Micro Irrigation Practices in Agricultural Crops. Performance of Pulse Drip Irrigated Potato under Organic Agriculture Practices in Sandy Soils. Impact of Polyethylene Mulch on Micro Irrigated Cabbage. Performance of Garlic under Different Irrigation Systems. Appendixes. Index.